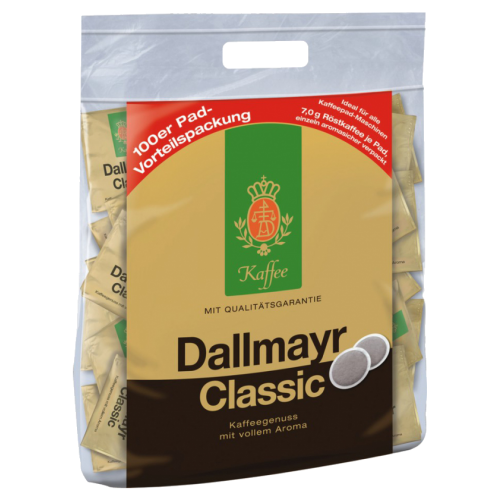 Dallmayr Classic coffee pads in a value pack is a classic medium roasted coffee from specially selected beans. The roasting gives the coffee a strong, aromatic flavor. Gives a perfect cup of coffee for all occasions.